I am the Founder, Sponsor and Chief Optimist of the N-Prize. 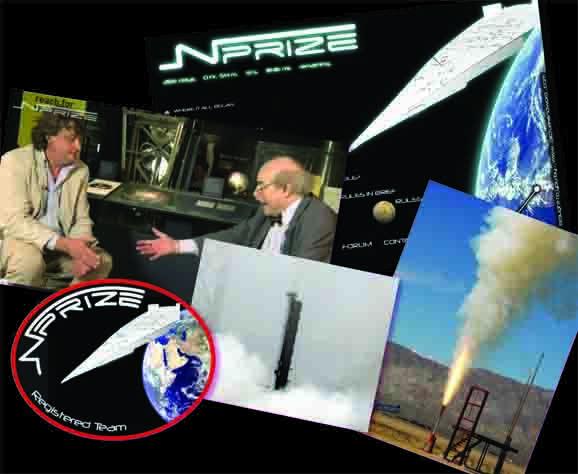 The N-Prize is an international aerospace competition, which challenges entrants to be the first amateurs to launch a pico-satellite (a minute satellite) into low-earth orbit on a shoestring budget, in exchange for an equally minute cash prize. The intent is to stimulate creativity; to quote Ernest Rutherford, "Gentlemen, we haven't got the money so we will have to think!" There are over forty registered teams from the UK, North and South America, mainland Europe, Australia, New Zealand and Africa. Entrants include former and current NASA employees, engineers, enthusiasts, and the odd nut. If you'd like to know more, you can visit the N-Prize website, watch an interview with myself and Prof. Heinz Wolff, or click on the sample images on the left. Single-molecule detection comes in handy in many unexpected situations. I was one of the members of a European Space Agency working group (part of the ESA N-Biomarkers study), assembled to examine technologies capable of detecting life (current or extinct) in places such as the Martian regolith and the ice/water of Jupiter's moon Europa. There are as yet no experts in extraterrestrial biology, and I'm one of them.